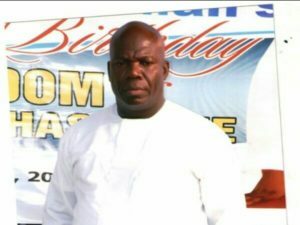 General supervisor of ThankGod Awaited Liberation Ministry, Prophet Francis Otukwu, has hit out at clerics who use God’s name to extort money from their members. Prophet Otukwu who made this known during the annual thanksgiving service of the ministry, at the Mission House, Ogba-Ijaiye, Lagos State, lashed out at religious leaders who employ various means to get money from their congregation. However, he clarified that he is not against giving because in the Bible, “God loves a cheerful giver” and people should give “as one is blessed of the Lord” but Orthodox and Pentecostal churches should not hide under the cover of giving for God’s work to get money from members especially now that an unprecedented population of Nigerians are so impoverished that one meal a day has become a luxury. According to News Express, the cleric cited a recent encounter with the controversial south-east based Catholic cleric, Reverend Father Ejike Mbaka, spiritual director of the Adoration Ministry, Enugu, who attacked former governor of Anambra state and vice-presidential aspirant of the People’s Democratic (PDP), Mr. Peter Obi, over donation during a church programme. He said such was not an isolated case as some leaders of mega Pentecostal churches in Lagos and Abuja are known to have made “Altar Calls” for multi-million naira donations.